What type of content showed the most traffic? Q4 may not always be the best time to start heavy content projects. There may be a value in finding what content worked last year and re-purposing it. Analyze your results and find out what blog content received the most views and clicks. Based on what type of content it was, such as gift guides, reviews, how-to’s, etc, look at the conversion rates. You can also take a look at what each post contained. Did the blog posts with more images perform better than those that had none? You can also go a step further and discover what topic received the most views. 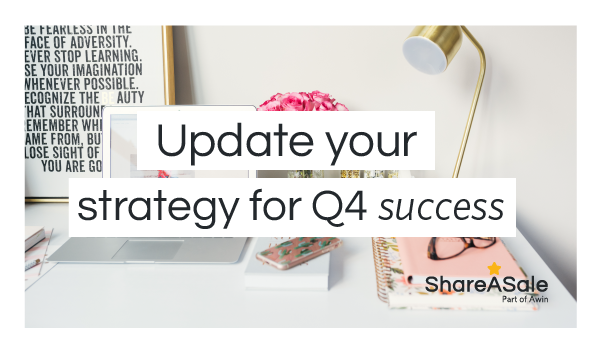 By looking through past content and identifying patterns in your content that generated the most traffic, you can use these past posts as a blueprint for your upcoming Q4 strategy. What merchant programs or categories drove the most transactions? While we always encourage affiliates to create content first, sometimes transaction results can guide your content ideation. By looking at what brands or niches of products performed the best over the year or during the previous Q4, you can use that knowledge to choose topics that would include those merchant programs. The reporting numbers speak to your audience interests. They are clicking and buying products that they are attracted to, so keep their interests peeked by catering your content schedule to them! How many posts did you create last Q4? Look through the amount of posts you published last year. Did your blog traffic increase due to your posts or were you overwhelming your readers with so much that you lost subscribers? It’s helpful to create a calendar of when and what you will be offering throughout Q4. This will help you recognize if you’re posting too much or not enough. It takes time, organization, and creativity to grow a successful Q4 content marketing strategy. 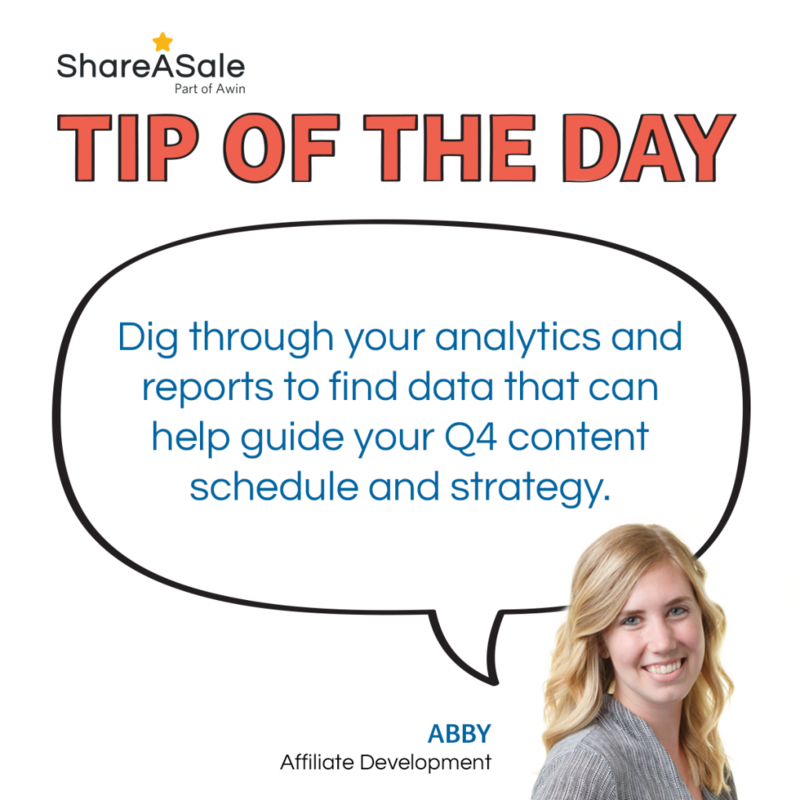 While numbers and data aren’t always everyone’s favorite topic, take the time to go over your past analytics and use the information to build a strong content foundation that will increase your affiliate revenue this year. Q4 is fast approaching. 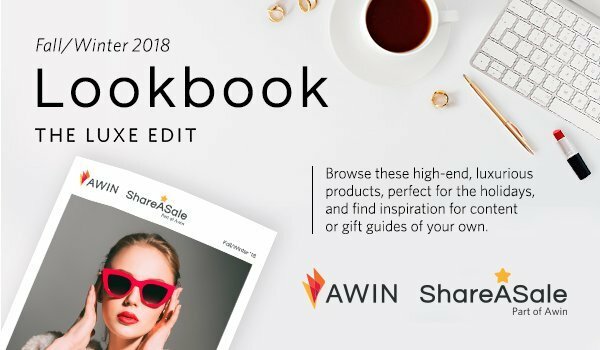 As we all know, it contains some of the biggest shopping holidays, each with it’s own must-haves, content ideas, and target audience. 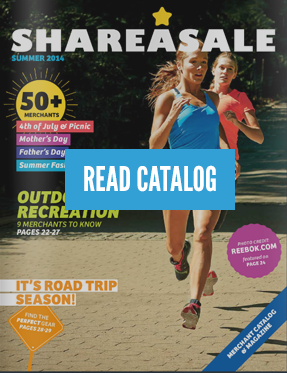 For affiliates all the sale dates and products can be overwhelming. What can you do to make the most of Q4? Plan ahead. To help you prepare for a profitable Q4, here are a few tips to help promote the best products, brands, and deals throughout the busiest time of the year. As an affiliate, you are most likely participating in many Merchant programs. The secret to success in affiliate marketing is partnership. 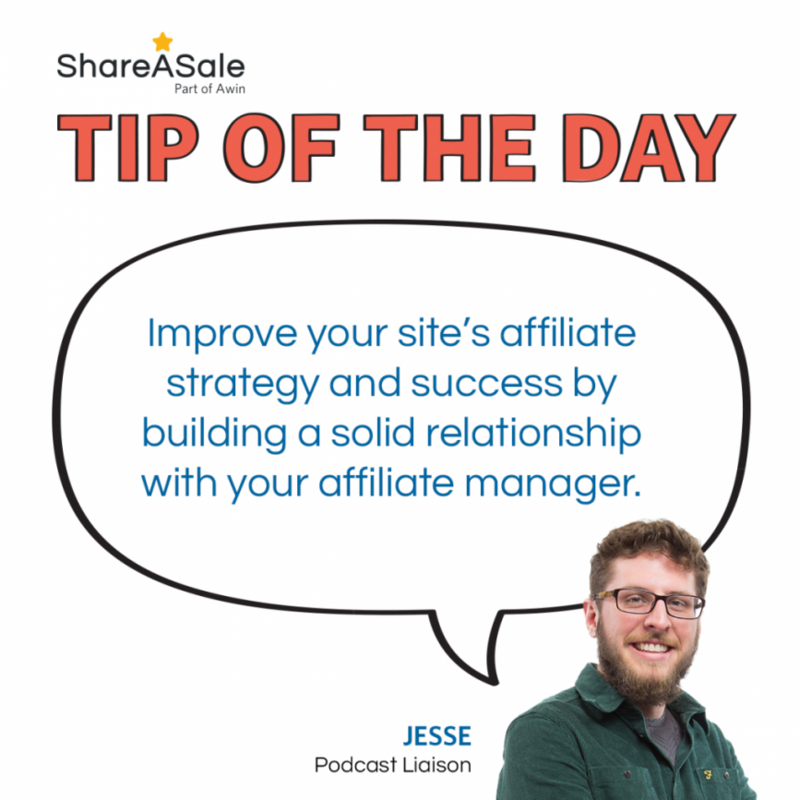 By taking the time to contact the Affiliate Manager and build regular communication, you increase trust which in turn grows loyalty.